Penang's Char Kway Teow was listed as some of Reddit's best recommendations and published in this Huffington Post article titled "19 Local Delicacies You Can't Come Home Without Trying". Huffington Post titled '19 Delicacies You Can't Come Home Without Trying', published on 27 May 2014. The Article Talks About Reddit User @dannyr Who Asked Fellow Online Travellers To Complete The Statement: When You Travel To _____ , You HAVE To Try The _____ . Char Kway Teow Was Listed And Described As "Hot In Singapore And Other Cities, But The Version In Penang, Malaysia Leaves People Stunned." 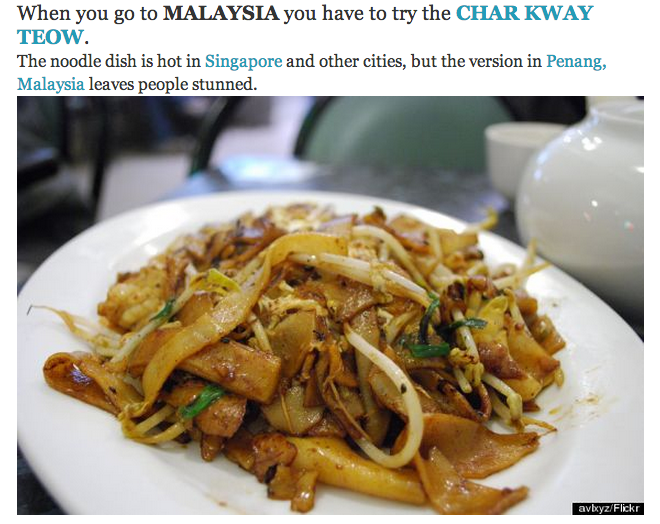 Char Kway Teow was one of 19 local delicacies published on Huffington Post. 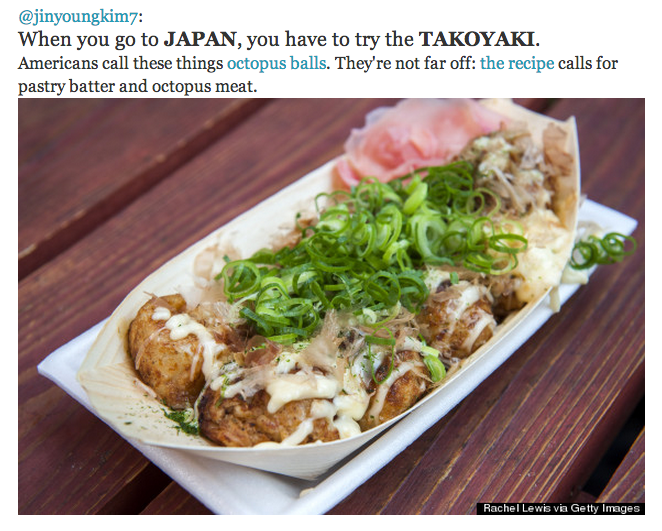 Takoyaki amongst some of the Asian delicacies listed in Huffington Post's article. 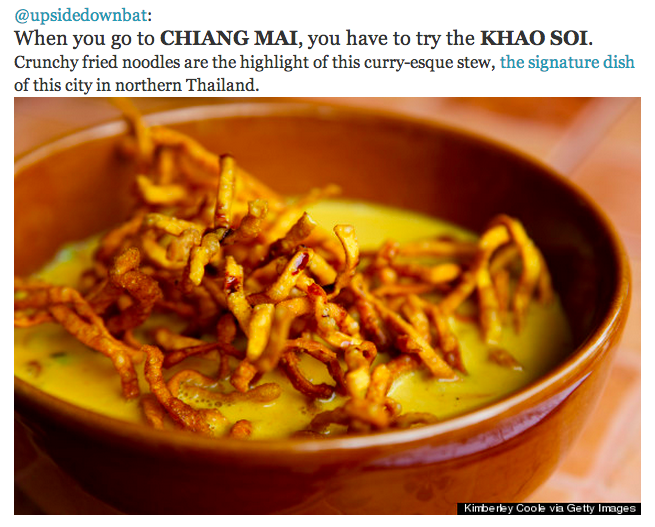 Khao Soi amongst some of the Asian delicacies listed in Huffington Post's article. Know Where To Get The BEST Char Kway Teow? Nominate It In The SAYS Food Awards!